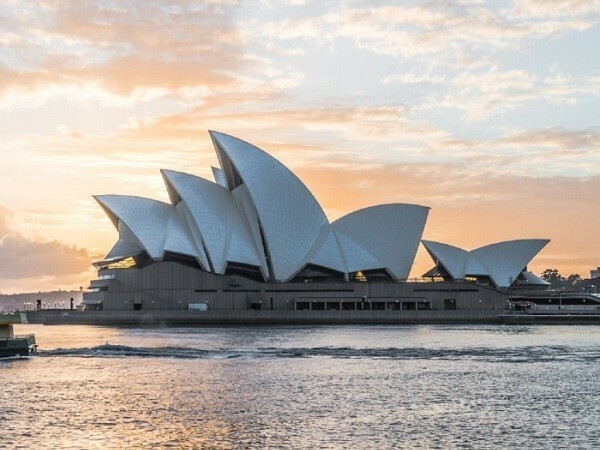 Did you know if all the 14 shells of the Sydney Opera House were combined, it would form a perfect sphere? There’s more to this story, though. The entire construction period of the Sydney Opera House was beset with problems. First, the podium was found to be not strong enough to support the shells and needed extensive reworking as early as 1963. Then the problem of the shells, which were elliptical, parabolic and finally spherical, took six years to resolve. Utzon's original drawings showed them as relatively squat, free form concrete shells. The problem of the roof structure was finally resolved with the adoption of a ribbed shell system, with the shells having a uniform curvature based on a 75-metre radius sphere. This enabled repeated precast units, built in standard segments on site, to be used in their construction. The concrete ribs, whose centrelines coalesced into the podium, provided a common spring point for all the precast concrete sections on which the ceramic tile pattern was placed. Sydney Opera House architect Jorn Utzon is believed to have made the final breakthrough. Interseat Stadium Seating Systems is a customised seating specialist offering retractable seating, stadium seats, fixed grandstands, players benches and portable grandstands to transform any space into a multipurpose venue.